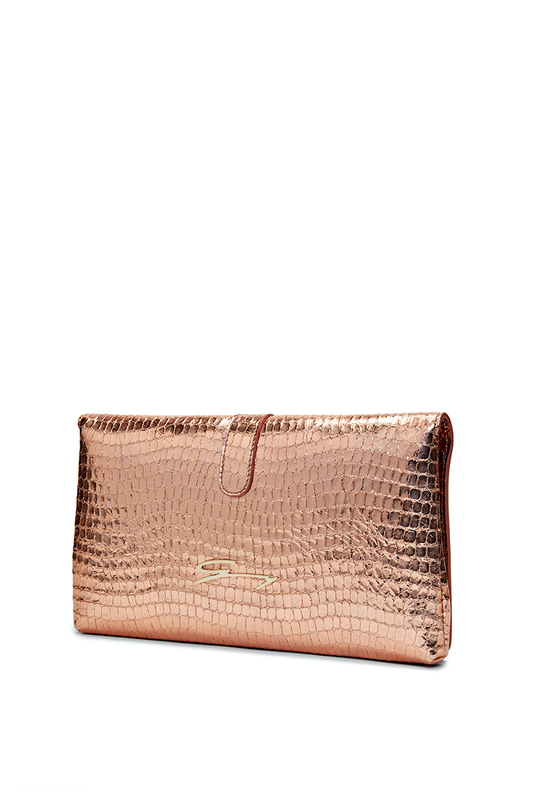 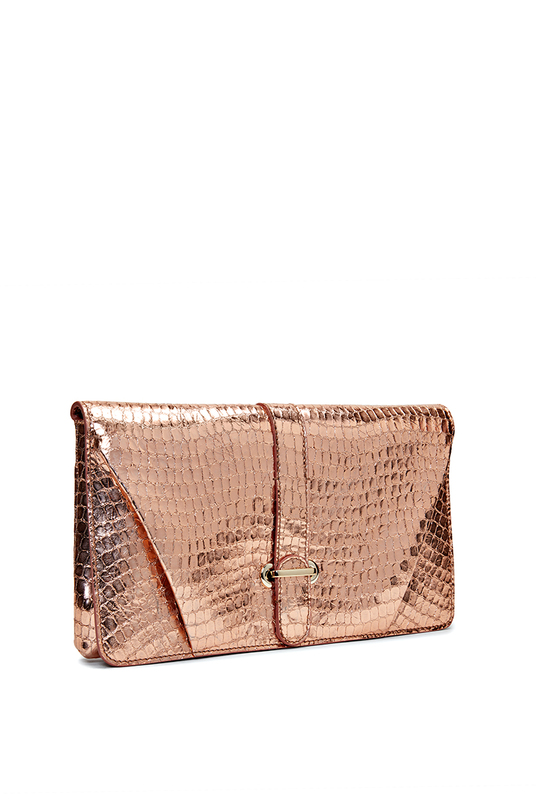 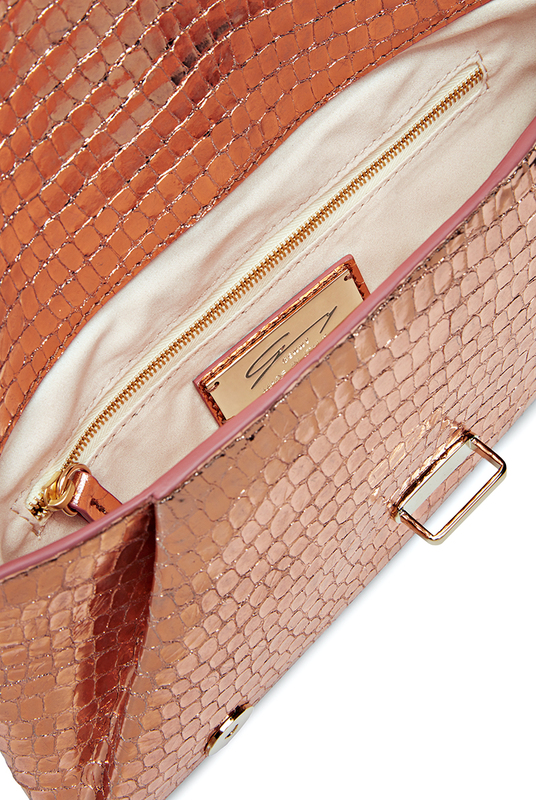 The golden hues of the envelope clutch give your outfit a surprising luminosity thanks to the fine leather coco effect. 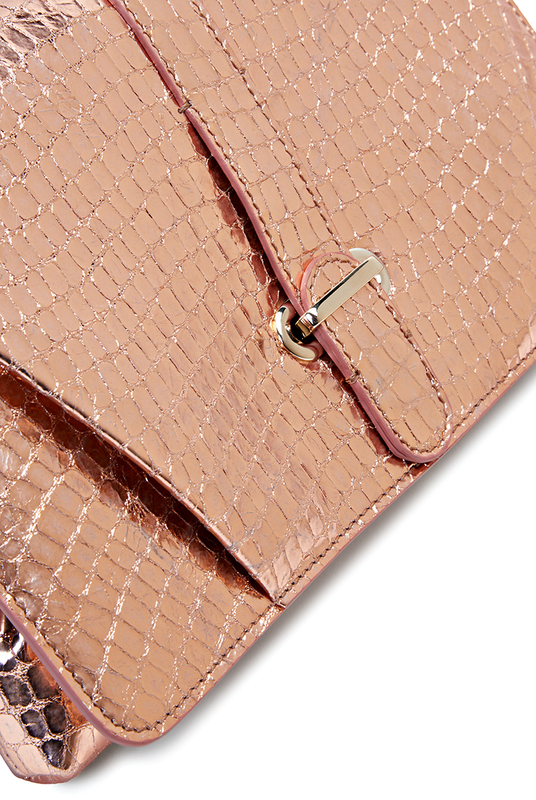 Its shape is gently beveled by the elegant ton sur ton central closure. 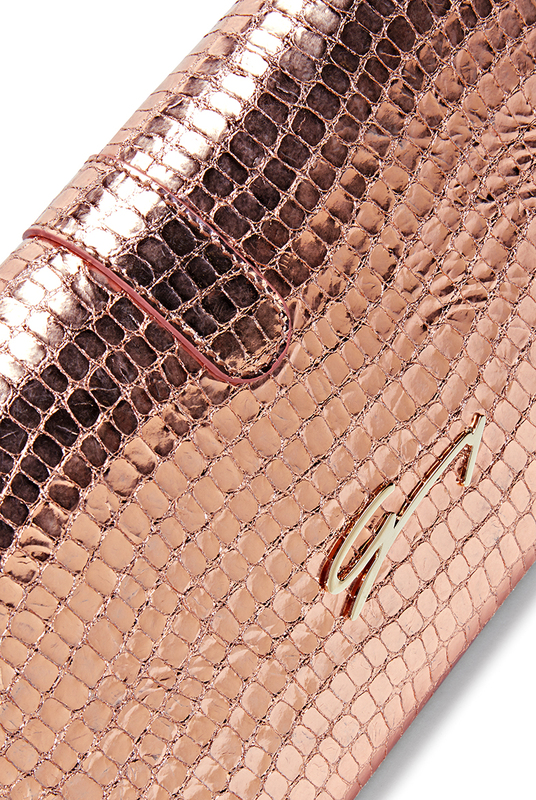 A clutch that instead of being merely carried, will bring you to the center stage.